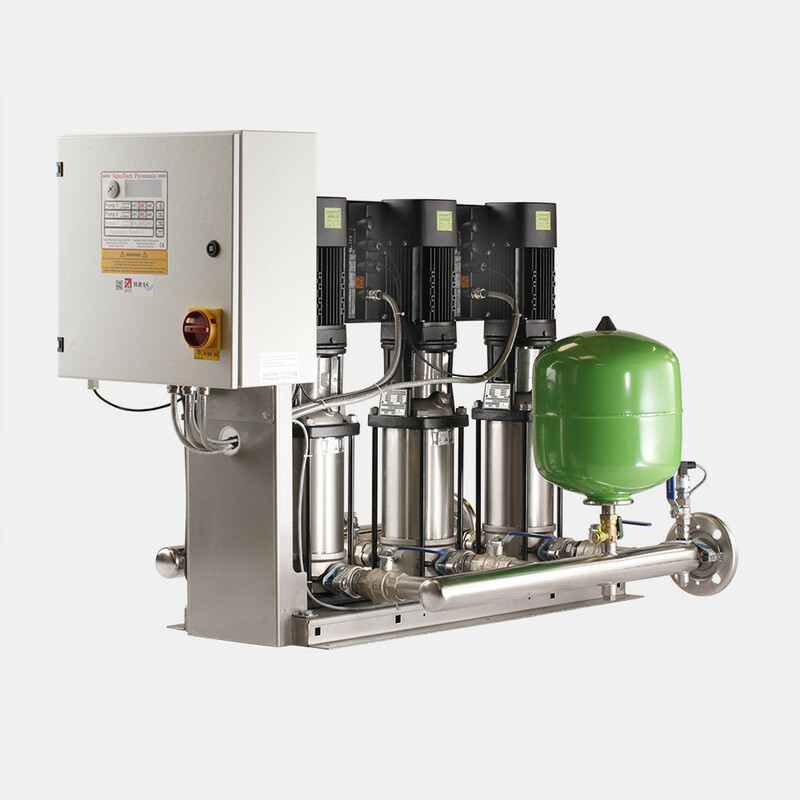 This is our enhanced booster set available with two, three, four, five or six pumps, suitable for large residential or commercial premises, to boost the water pressure up to 14.0 bar, with a water flow of up to 48 liters per second. The range has been designed to increase the pressure of the cold/hot water services within a building, where the existing incoming water mains or feed tank is not capable of supplying sufficient system pressure. The enhanced series for special use with Sprinkler systems have the important added advantage of being easily configured into a residential sprinkler system saving installation time and money and are fully compliant to BS9251:2014 [Fire sprinkler systems for domestic and residential occupancies – Code of practice] Ideal for high rise flats and residential premises. Flexibility of two, three, four, five or six pumps.